I’m writing to support Norm Collin’s proposal to re-allocate funds proposed for the Scotiabank’s centre’s scoreboard towards a road safety improvement plan and program. I realise that there are many exciting infrastructure projects competing for municipal funds that are costly, but perhaps necessary. However these projects will not resolve the day in day out HRM-wide difficulties and danger experienced by pedestrians and cyclists on our roads. These conditions are not acceptable or normal, and they prevent us from achieving transport diversity. They also destroy or terminate our residents lives. We know, having adopted the Swedish initiative “Vision Zero”, that these are avoidable incidents that can be resolved through an infrastructure based methodology, not accidents. Incidents on crosswalks have sadly become part of our daily experience of living in this municipality. Chebucto Road / Armdale Rotary crosswalk. An incident on a faded multi lane crosswalk at the Armdale rotary, marked only with two white signs. An incident at the Thistle/Victoria signalised intersection where a 76 year old lady was hit by a driver turning, where signal timings do not protect pedestrians from turning traffic. We also urgently need to consider inexpensive safety measures that can be applied HRM-wide that will improve safety for cyclists. I understand the most common location of incidents involving cyclists in HRM is at intersections. These are very difficult to negotiate on a bicycle due to turning drivers, who often do not see cyclists. Advance “bike boxes” would help cyclists gain a head start over traffic, as would a clearly marked cycle lane passing through our busy and wide intersections. 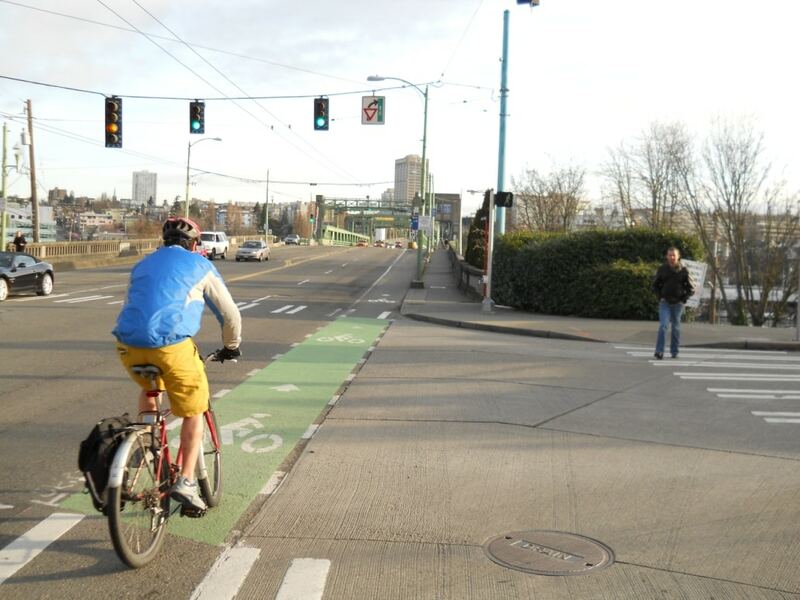 We already know that our roads cannot be made safe simply by asking people to take more care. However incidents can be reduced by introducing proven infrastructure safety countermeasures that ensure the protection of vulnerable road users is our first and foremost priority on our roads. Most encouraging are statistics shared by the Crosswalk Safety Society which demonstrate that crosswalks with flags have far less incidents than crosswalks without them. If the Crosswalk Safety Society have managed to implement HRM-wide safety improvements on a voluntary basis, imagine what could be achieved with a budget to bring about basic safety improvements HRM wide? I am confident that with the right budget and a road safety plan, we can enjoy safer roads for vulnerable road users. If you walk, cycle or use a wheelchair and are affected by road safety issues, please join HRM Safe Streets for Everyone. If your local crosswalk needs a crosswalk flag, please contact the Crosswalk Safety Society. Please remember to report issues affecting your safety to our municipal authorities using the 311 service.